Travel agencies and tour operators are aware that, their business is anything but easy. While you have to do all it takes to keep prospective customers happy and provide them with best services, you also have banks that refuse to help, especially during a severe cash crunch. To top is all, some Merchant Cash Account (MCA) providers also are hesitant considering the risk involved with high level of chargeback, and dealing with vendors from overseas. If you have previous bad credit, that only adds to your woes. How can a tour agency or tour operator get a business financing? There are times when a travel agency is in need of business funding. Like when they are considering high volume ticket bookings or contemplating extending their business. They could also require extra funds to hire new staff, or office renovations as well. Bank loans are often not an option, because of their lengthy procedure and a high chance of rejection. 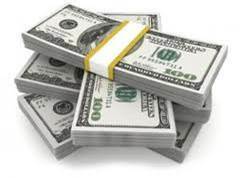 In such a situation a Merchant Cash Advance is one thing that comes handy. This is simply because business cash advance (BCA) that a tour agency can take against their future credit and debit card payments. It works best for them since, they will need the money while making high volume bookings, but can easily pay it back when the customers make their payments. Travel agencies are one place, people often prefer to use credit and so the revenue collection especially during peak seasons is usually high. And so these credit cards revenue collection can be easily used as a payback for the cash advance. Why is Merchant Cash Advance a better option for tour operators? The revenue collection depends upon how much business is received by credit card payment. So in a good month, a travel agency can pay back more. And they can get the mush required respite during slack months. The loan term can be decided according to the convenience of the travel agency and short term or long term procedure can be worked out. They have to meet the demands of customers who would like flexibility in payment options. Also dealing with overseas vendors, one has to deal with different currencies, federation rules and much more. If a tour agency has had a previous history of bad credit, getting a bank loan is out of question; also some MCA providers might be hesitant to indulge in working with high-risk business with previous bad credit. They are constantly in need of working capital to make bookings and may occasionally need MCA loans in 2nd, 3rd, 4th or 5th position too. Multiple payment options: A MCA provider must provide a physical terminal as well as a virtual terminal for accepting electronic payments as well. Drafting Checks: It is important to find a MCA provider who allows drafting checks through your merchant account. This helps in case there are more ticket bookings on commission. Set-up fees: Ensure you are not dealing with a provider who has an exorbitant set-up fee. There are many providers who have options of no set-up fees. Payment via mobile apps: As yet another payment option for customers, a good MCA provider will have the facility of accepting payments via mobile apps. This gives the customers flexibility to make payments using their iPhone or Android phones. Recurring Billing: Incase of a high number of bookings or when having expensive bookings, yet another facility that customers expect is to have recurring billings. Finding a MCA provider who has this option available is an added advantage. Tailor made MCA loans: A MCA must consider the nature of the travel agency or tour operator, and how big it is, its previous loan history, and payback capacity and create a tailor made loan option. They must also decide upon a workable rate of interest to facilitate the tour agency. Though the order may seem tall, there are some great MCA companies that meet these factors and more. The important point, being making the right choice.